We’re very pleased to report that due to popular demand, An Individual Note has gone into its second print run. Now an Amazon best seller, it became the top-selling book on electronic music last year…an achievement we didn’t really consider when we began this project. Congrats and thanks to outgoing chair of the Daphne Oram Trust, Richard Whitelaw, and Matt from Anomie for all their great work on the project! Copies of An Individual Note have been selling fast, so fast that we have printed a second run so that the world doesn’t run out. Following our successful kickstarter campaign this summer, we’re delighted to reveal that our brand new edition of “An Individual Note of Music, Sound and Electronics” by Daphne Oram will be available soon in glorious hardback. More details available on the Anomie website. 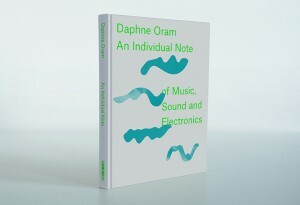 By republishing her seminal book “An Individual Note: of Music, Sound and Electronics” we want to write Daphne Oram back into music history; sharing her vision with new generations of musicians, composers, musicologists and contemporary music lovers. We want to establish Daphne Oram as one of the UK’s leading modern composers, but we can’t make this happen without your support. In 1972, Daphne Oram wrote her seminal book, “An Individual Note: of Music, Sound and Electronics”, which was a pioneering explanation of electronics in relation to music and sound. When Daphne Oram first wrote and published the book, electronic music was still in its infancy. The book’s depth and its exploration was unprecedented, and her ideas and theories radical. Now that electronic music is an established and popular field, it is important that the book is redistributed to allow more people to learn and benefit from reading it. In 2017 it will be 45 years since Daphne Oram’s book was first published. There are only a handful of copies available to access, and we want to share her story far and wide with future composers, producers and fans. In order to republish this amazing book with the help of Anomie Publishing and the brilliant team at the Goldsmiths’ Daphne Oram Archive, we need to raise £10,000. We can’t make it happen without your help and if we don’t raise the funds needed by 14 July, we won’t receive any of the funding already pledged. Please pledge your support and receive great rewards including the book, limited edition merchandise and unique experiences available when you donate through our Kickstarter campaign. Do Analogue Sound Machines Dream of Digital Sheep? Daphne’s Oramics Machine and the recent Nonclassical event, ‘Pioneers of Electronic Music’ feature in this docu-film ‘Do Analogue Sound Machines Dream of Digital Sheep?’. This documentary from Queen Mary, University of London, also includes an excerpt of a performance by Tom Richards (currently researching a PhD on Daphne’s Oramics Machine) and a conversation with the director of the archive, Mick Grierson. The section highlighting Daphne’s work begins at 6’45”. 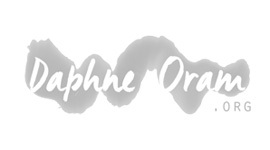 On Friday 30th May, Daphne’s work featured on BBC Radio 3’s Late Junction. Host Fiona Talkington presented a collaborative session with electronic duo Walls exploring material from the Oram collection. The programme features an interview with Dr. Mick Grierson, director of the collection, and includes Oram’s ‘Tumblewash’. More here. A tape playback of Daphne’s 1968 work ‘Four Aspects’ will open a forthcoming concert of Sound Arts on Thursday 9th May 2013. The evening concert, held in tribute to the ‘First Concert of British Electronic Composers’ that took place in the hall in 1968 (featuring Daphne, Peter Zinovieff, Tristan Cary and others see this programme), is free to enter and begins at 18:30 on Thursday 9th May. Further details of other works and performers who are performing in the Queen Elizabeth Hall concert are available here. The BBC’s technology show Click recently featured Daphne Oram and the Oramics machine. It can be viewed here. The piece contains rare archive footage of Daphne Oram explaining the Oramics technique.